Glow-activating anti-wrinkle serum: £36, Caudalie. Beauty vinegar: £17, Roger & Gallet. 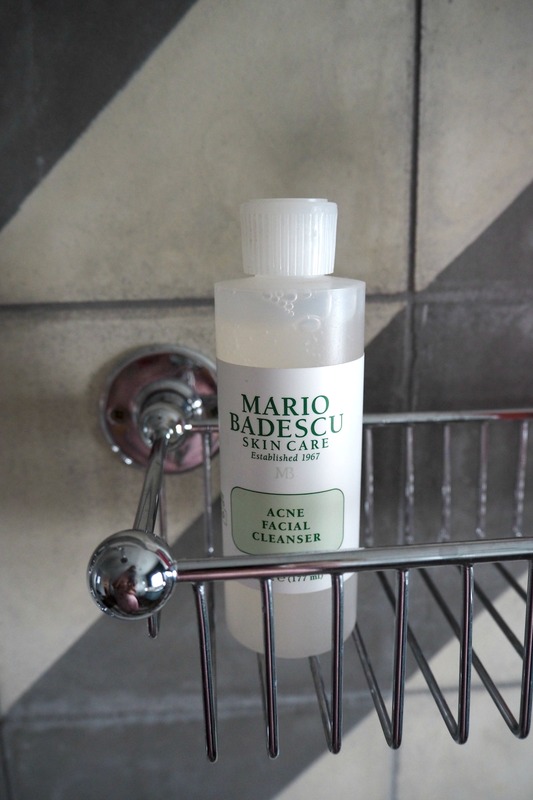 Acne face cleanser: £14, Mario Badescu. Slow Age day cream: £22.50, Vichy. Washbag: Elemis x Misha Noo Noo. Photographs taken in Artist Residence, Cornwall. As I’ve said in the past, I am not exactly an aficionado on skincare and still try new products all the time in search of the holy grail….I’ve probably come to accept that there are a few products that I love using, a few I don’t, and my skin is generally better when I mix up my products and don’t rely on the same ones all the time. Acne face cleanser: £14, Mario Badescu. I bought this, along with the Cucumber Cleansing Lotion (which I can also highly recommend) whilst browsing Urban Outfitters recently. Initially drawn into the store by their superb cacti collection (but then realising it’s not exactly the most practical item to carry home on the tube), I ended up buying a book and skincare – they actually have some great ranges there…although I won’t pretend I wasn’t duped at first by the good packaging. I’ve had acne pretty much most of my adult life, and by adult I mean from the age of 21 onwards when I started working, being stressed and living in London. True, it’s not as bad as it used to be but there really isn’t a day when I look in the mirror and am completely satisfied with my skin (and definitely not a day when there aren’t averaging at least 12 spots). So I’ve been giving this a go, and I’m liking the results, I’ve accepted that I’m never going to be one of those women whose skin clears up forever, but I like the feeling of these products – light but efficient. 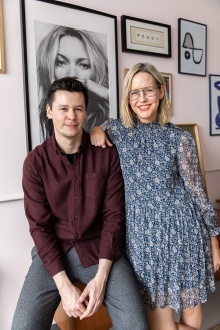 And I’ll also have to accept that, at 34, I’ll probably never be passed buying ‘acne’ products – but hey, at least it looks good. Beauty vinegar: £17, Roger & Gallet. Nails in ‘Beach Please’: £8, Cheeky. You can see how well this went down, as my bottle is almost empty. VINEGAR. For your face?! Yes. Apparently the idea of using fruit-based vinegars has been around for years, since the 18th century. And as a toner, I love it – my skins feels so clean and refreshed after using it – and I kind of love the idea of trying something different on my skin to shake it up a bit. This is stocked in M&S Beauty Hall, too, which I always consider a confirmation of cult beauty excellence. Glow-activating anti-wrinkle serum: £36, Caudalie. 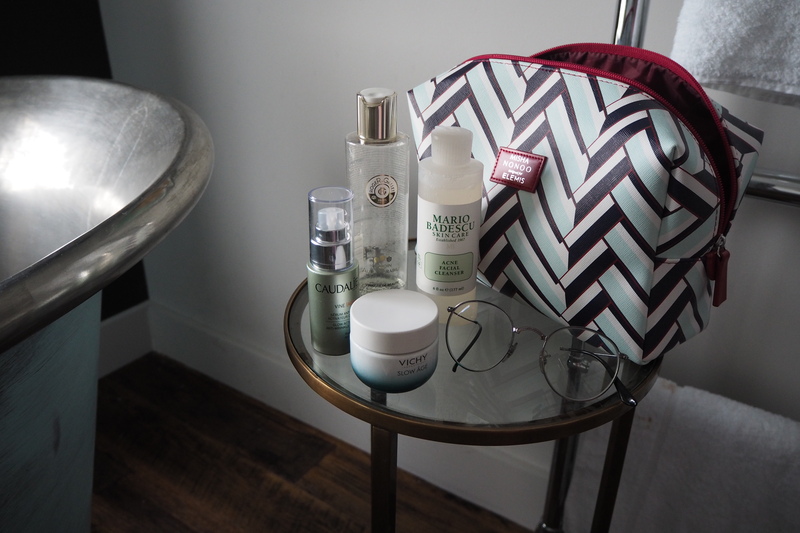 I love Caudalie – the brand, its ethos, its products, its story (the products are developed from the family’s vineyard when they discovered that grapes and vines had active ingredients and powers for the skin – they are all natural and their ‘Beauty Elixir’ is my inflight essential item). I was actually lucky enough to travel to their Headquarters in Paris back in February to view this ‘Vineactiv’ range of products (but waited until I had fully tested them before writing this blogpost). This new range is suited for women, like me, with hectic lifestyles, not enough time and with skin exposed to daily stress and pollution. I only started wearing serum about 5 years ago, but now I wear it everyday underneath my moisturiser, and this one acts as a barrier to help prevent pollution reaching your skin as well as anti-wrinkle protection. Sold. Slow Age day cream: £22.50, Vichy. Firstly, I have never used a moisturiser with an SPF before, living in London it had never occurred to me. But lately, I have realised just how essential it is – mainly because all the people whose skin I admire, guess what? They always wear SPF everyday and this is enough to change my ways. 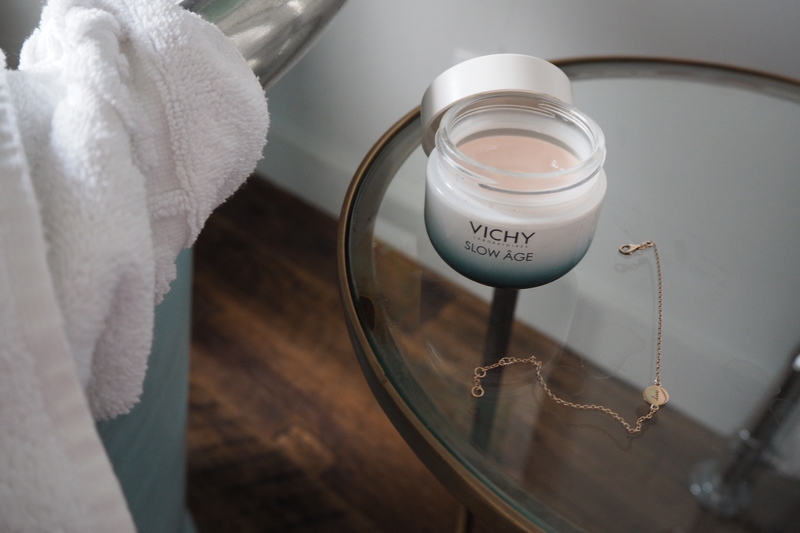 This has SPF 30 as standard, as again, it’s a product brought about by its research in all the environmental factors that play havoc on our skin (that’s one thing I love and trust about Vichy – they do a LOT of research). Aah getting older….so much fun. Alpha-H Liquid Gold, every other night , has totally cleared up my spots! It’s amazing stuff. You need Caroline Hirons in your life, she’s THE one in the know. She is also an enabler though, so be warned ? 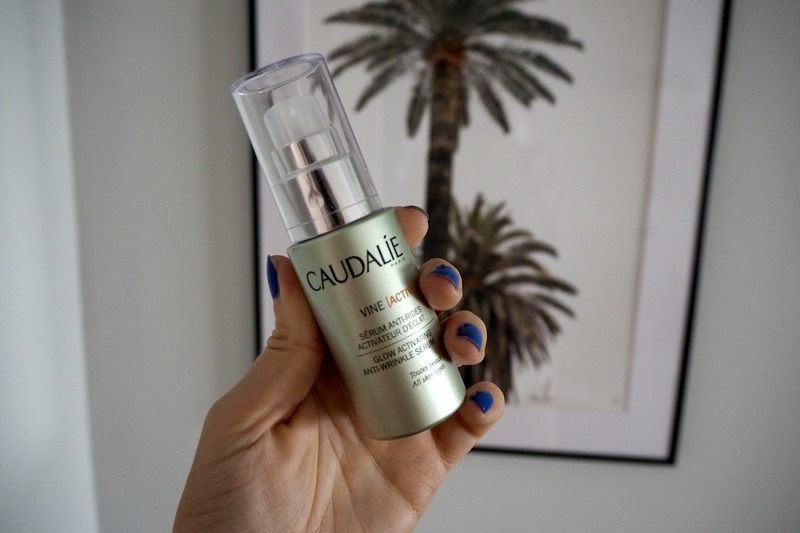 Could I ask where the palm tree print is from in your caudalie photo? Yeah I have gotten used to it and just ‘cheat’ when I know I don’t have an important event coming up..! In the meantime I live on goats cheese as it doesn’t seem to effect me as much ? google vitamin d supplements which can clear up acne too. I agree with Claire – the La Roche Posay effaclar duo product is the best thing I have ever used on spots. You can cover the whole spotty area in it morning and night and it definitely gets rid of them without drying out your skin. I swear by it!